Burns and Hines Police Departments are partnering to put on Junior Officer Day. Students grades Kindergarten through 5th will participate in a variety of stations that will teach them about the Law Enforcement Career. There will be two sessions of the day camp held. The first will be from 9:30 to 12:00 and the second will be from 1:30-4:00. Parents/Guardians/Adults will need to attend with their youth. Students may only attend one session. Come meet and greet our newest Medical Providers!! We have 5 new medical providers at Harney County Hospital. Come have lunch for $8 provided Bella Java or just come in and welcome our newest providers. 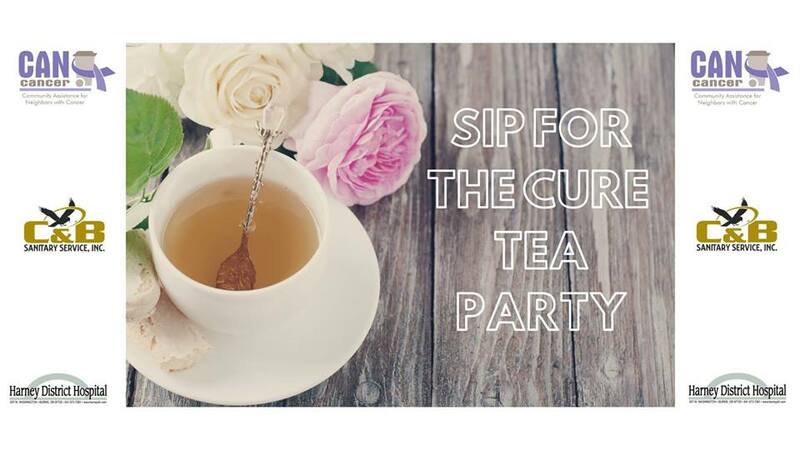 CAN Cancer invites you to Sip For The Cure Tea Party! Enjoy tea, refreshments and prizes while supporting local cancer patients!